Can I just tell you how amazing our field trip was last week? My team this year is just fabulous. We literally come up with last minute ideas during lunch and then we do everything in our power to make it happen. This field trip is the dream of one of those lunch talks. As I mentioned here, I have made it one of my missions this year to really "beef up" the amount of social studies and science in the classroom. 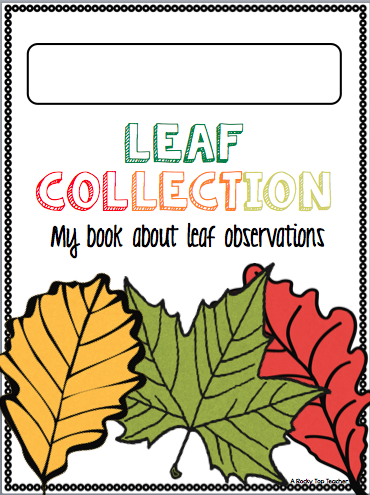 In college, I made a leaf collection book after we did a unit on how to incorporate plant life cycles into science in the classroom. This made me want to do the same thing with my students as we finished up our unit on plants. My students are so hands on this year, and they LOVE science. A local college near our school has an arboretum. I mentioned to my team that it would be awesome to be able to take a field trip there so the students who look at the different trees, their leaves, and learn about the scientific names and classifications. I didn't feel like I could do it justice by just walking around our school campus. My teammates were 100% into the idea so I reached out to one of my amazing college professors, and she helped us set up a fabulous, extremely educational, and FREE field trip. The trip started off by the students meeting with one of the college biology professors. She talked to the students about what an arboretum is, discussed that there were different types of trees, and gave students a reference sheet of some of the leaves they were going to be seeking out on our tour. The students were blown away with getting to sit in a real auditorium with "tables" and comfy chairs. were given a bag and their reference sheets and went for a walk. We had the best time ever. The students saved their leaves so that we could go back to school and make a leaf book. The next day, we took out all of our leaves and went to work. 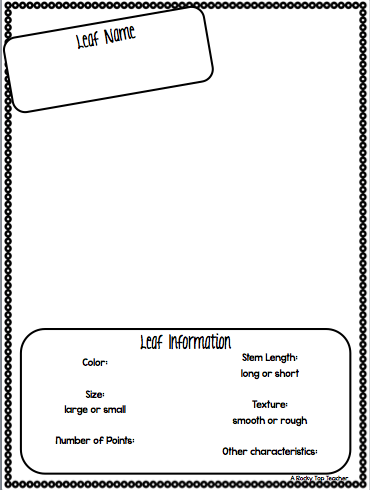 We identified the leaves, wrote down leaf characteristics, and put together our leaf books. It was messy. It was a little time consuming. But, it was worth every minute. 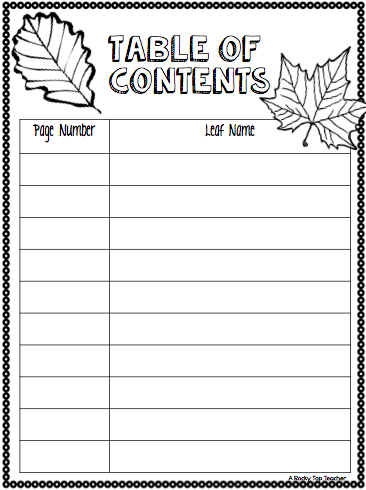 Students referenced back and forth to their sheet, our pictures, and the internet to make sure that their leaf information was correct. Just look at the smile. He was tickled because his leaf was too big to fit on his page. We had to get a little creative with the placement of his leaf. We had such a blast with this that I wanted to share the book template we used with you. Hope you can use this in your classroom with your kiddos. Just click on any of the pictures above or click here to take you to the TPT link. Happy Fall Y'all! Stay tuned for a giveaway! My awesome "aunt to be" made me something to share with you, and I can't wait! You are going to LOVE it!